We’ve reviewed both the 10 Australian Food Influencers You Should Follow and the 10 Australian Lifestyle Influencers you should follow. We’ve worked with a number of influencers over a wide range of fields over the years at FORWARD, and consider ourselves lucky to have worked with some of the best in the industry. Now, we’re bringing you 10 Australian Family influencers you should follow. These 10 influencers all have one thing in common: they are dedicated to capturing family life as it really is, at its worst, its best, and all the other in-between moments. However, they have each carved their own, distinct niche in the family genre, setting themselves apart with creative and engaging content that inspires. 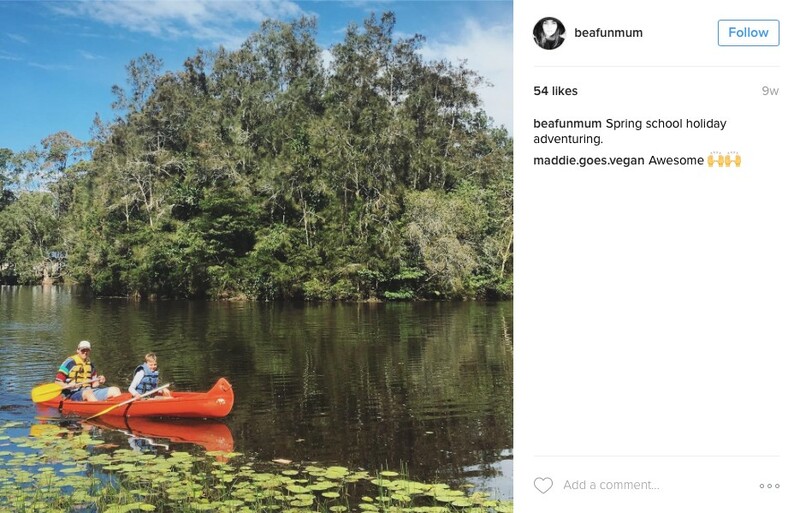 The influencers featured below are just a small number of our favourite Australian family and parenting influencers. If you would like to know more, or how your brand can benefit from working with influencers like these, please get in touch. Bruce Devereaux, the face behind Big Family Little Income, is one of our favourite family bloggers and is one of the most notable blogs in Australia when it comes to covering all things parenting. It is also worth noting that he is the only male in the bunch – something that doesn’t go unnoticed amongst his legion of fans, who love to hear the insights of a a stay at home father to seven children. Bruce uses his blog as a way of sharing his tips on how to run a big, happy family on a small budget. Whether it’s providing a guide to making homemade Playdough or whipping up the World’s Simplest Green Chicken Curry with Rice, BFLI has all bases covered. Bruce’s down to earth writing style and uniquely Australian sense of humour make him one of our top influencers to follow. Big Family Little Income has previously worked with a range of brands, and FORWARD were collaborate with Bruce to create easy weeknight meals for Aussie favourite SunRice- see Bruce’s awesome creation below! Chantelle originally started Fat Mum Slim as a private weight loss blog however over time it has evolved into an engaging lifestyle and parenting blog with daily inspiration, recipe ideas and stories that will make you laugh and sometimes cry. Chantelle is also the founder of A Photo a Day, a photography challenge and creative outlet for her followers. Chantelle’s humour, genuine attitude and honesty have helped her amass a highly engaged following, and she engages her followers on a number of different topics, from parenting to wellness. Fat Mum Slim has collaborated with FORWARD to create engaging and compelling for a number of successful campaigns with brands including SunRice and True Local. If you’re into original DIY projects, kids craft and all other things creative, look no further than My Poppet. Cintia is the creative flare behind My Poppet, a blog dedicated to inspirational craft tutorials that turn ordinary objects into totally extraordinary creations. She includes creative tasks and projects perfect suited to all skill levels so kids can easily get involved. Cintia’s creative projects and ideas are frequently inspired by her 6-year-old daughter and the blog incorporates a range of disciplines including crochet, needle felting, paper craft, quilting, digital media, photography and sewing. My Poppet Living is another section of her blog which includes top travel destinations, best new recipes, as well as explore style, health, wellness and family friend activities. Thanks to her mix of engaging content across a multitude of genres, Cintia continues to grow her following. My Poppet projects and creations have landed on Huffington Post, Elle Interiors, Frankie and Homespun whilst also collaborated with Officeworks and Spotlight. 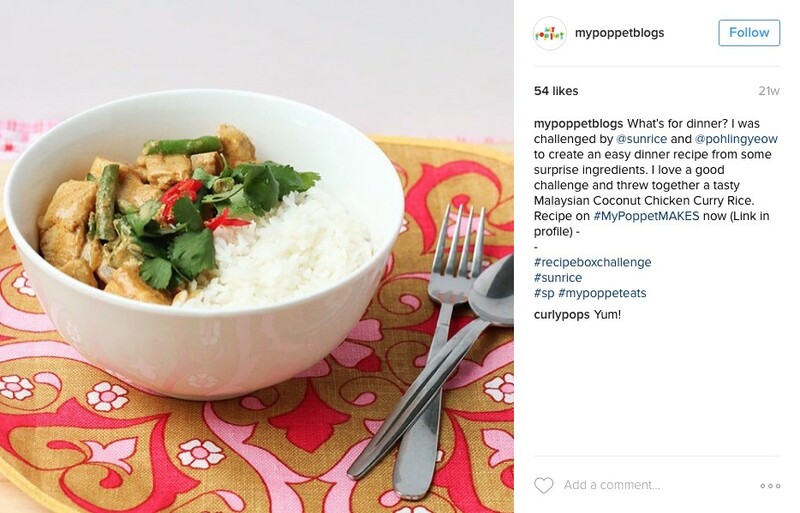 My Poppet Living has also teamed up with FORWARD and SunRice to produce delicious midweek meals. 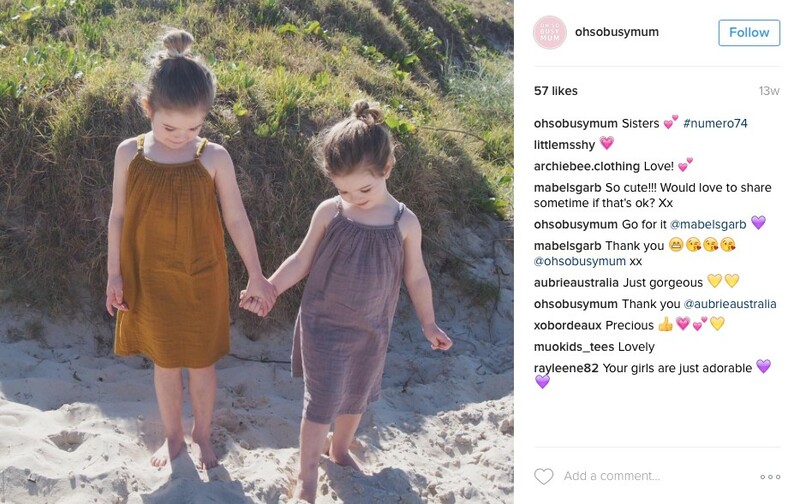 Oh So Busy Mum was started by Cheree, with the sole purpose of sharing the things that make her a busy mum i.e. travel, recipes and family. She has four daughters that keep her well and truly on her feet and she loves exploring new places and food with them. As well as managing the Oh So Busy Mum blog, wonder-mum Cheree also runs the Lunch Box Ideas Australia and Decorating Mummas Facebook pages. FORWARD and Oh So Busy Mum have recently collaborated to work on a MILO campaign. Kelly started up Be a Fun Mum, when she realized she wasn’t actually a fun mum at all, and wanted to make a change. Her blog and focus are all about connection, designing your own family life and finding your own individual way to have fun with your kids. Kelly’s blog includes a wide range of activities and ideas that she believes will bring joy to family life, including dinner recipes, crafts, activities for kids, gardening, camping and travel. Kelly also started the Love the Moment Challenge as a means for mothers to capture, notice, celebrate and enjoy moments as they arise. Through this, she provides mothers with an outlet to weave connection into their lives. Be a Fun Mum has worked with brands like Nespresso, Disney, Voltaren, Omo, HP and Fountain. When it comes to money saving ideas, Bargain Mums is the ultimate destination. Jasmine Boothey, the thrifty mum behind this blog, takes the work out of saving for Australian families by helping them find bargains in all aspects of their shopping. The Bargain Mums blog is fast becoming a popular online resource for budget-savvy families in Australia looking for invaluable money saving tips, easy and affordable meals and strategies for living a more minimal lifestyle. Jasmine is passionate about helping Australian families save money without compromising on the quality of the products they purchase. 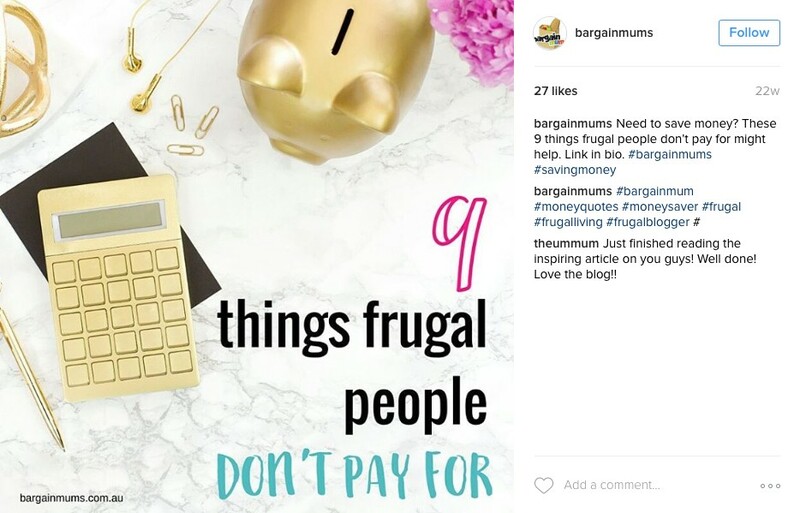 This small detail is what sets Bargain Mums apart from other budgeting blogs, and has helped the Bargain Mums blog cultivate a devoted following in a short space of time. Bargain Mums has partnered with brands including Officeworks and Super Amart. Katrina, wife and mother of three, is The Organised Housewife. This blog is wholly dedicated to sharing daily tips and ideas to keep the home and family organised. Her goal is to help parents enjoy time with their children…whilst also maintaining a clean, tidy and organized home. In addition to running the blog, Kat has created her own Organised Housewife stationary range, including printable charts, checklists and planners that aim to help her followers live stress-free and create effective routines within their households. 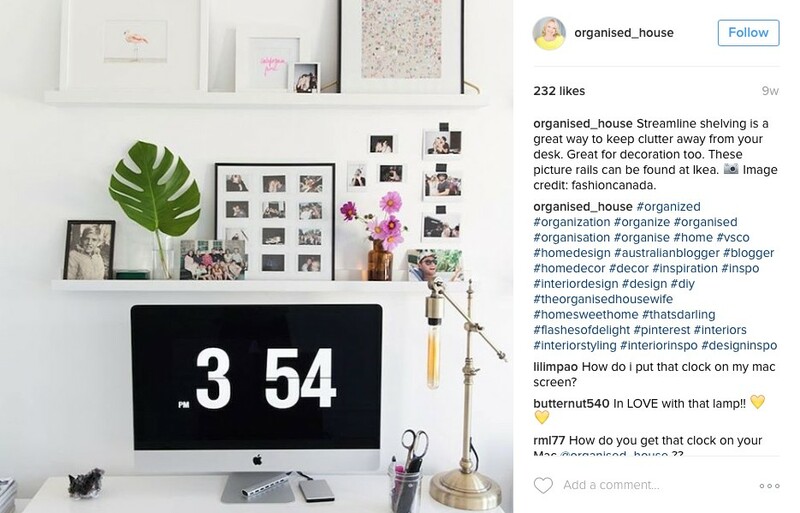 The Organised Housewife is a blog that explores many different lifestyle genres, from interior design to lifestyle ‘hacks’, and with over half a million followers, it’s clear that this mix of engaging content appeals to a wide audience. The Organised Housewife has collaborated with brands including Sard Wonder, Olay, MasterFoods, Nissan, BIG W, Coles and Praise. 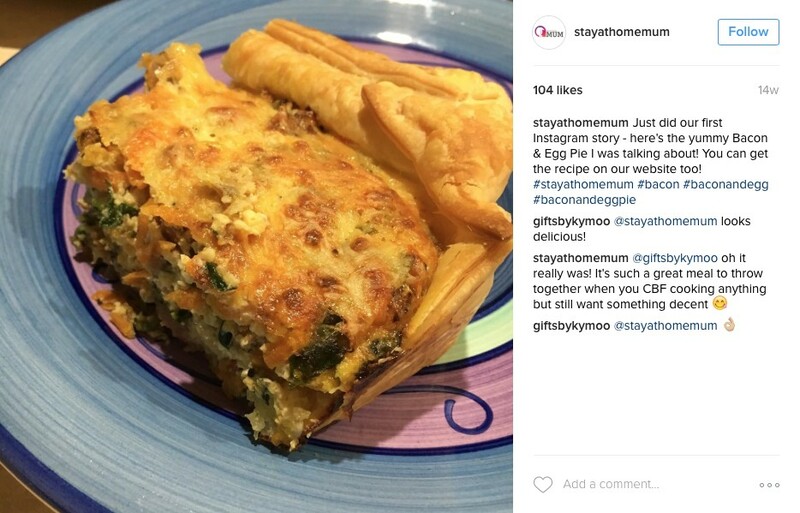 Stay at Home Mum was founded by Jody Allen in 2011 after she was made redundant, leaving her with a baby and husband to feed, another on the way and only $50 per week to spend on groceries. Jody decided to start sharing her journey with other stay at home parents, including her frugal money saving ideas as well as tips and hints on cooking, cleaning and parenting. 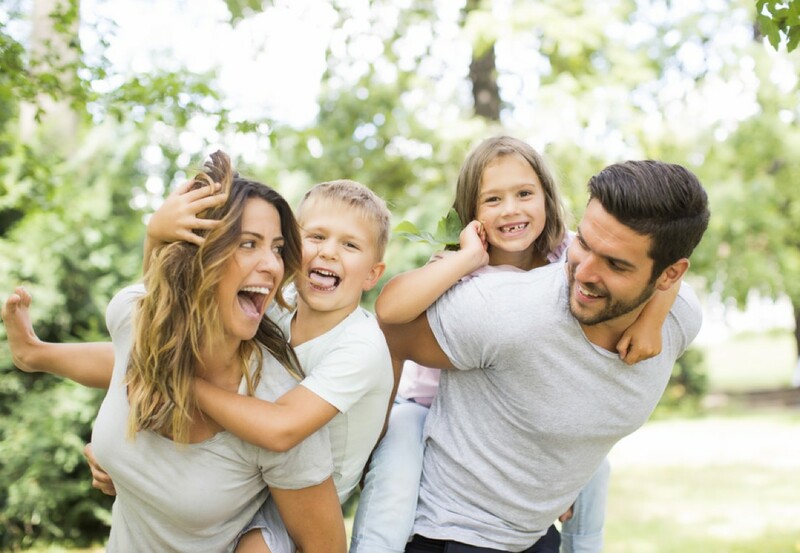 Jody’s message to her followers is that you definitely don’t need to spend exorbitant amounts of money to have a happy, healthy and fun family life. This message has clearly resonated with her audience, which now consists of over 500,000 highly engaged followers. 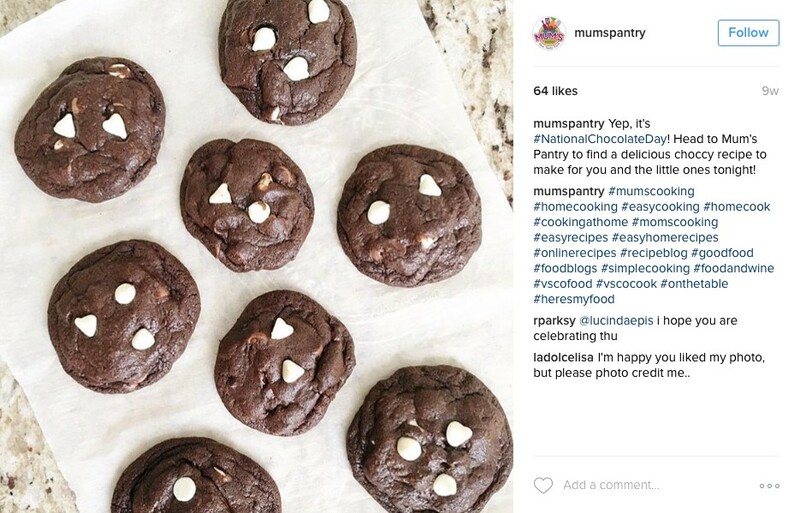 Stay at Home Mum has worked with many brands including Etsy, Glad, MILO, Penguin and Vicks. Mum’s Pantry, run by Belinda Jennings, is our favourite pick for a family blog with a focus on making meal times for the family, easy, quick, delicious and stress-free. Belinda’s blog is all about using common ingredients found in your pantry and fridge to create really easy recipes that the family will love. Belinda’s worked for over twenty years in Sales & Marketing and is passionate about empowering women to make the best choices they can to raise their families. She is supported by her energetic two boys and husband. In the short time, it has been around, Mum’s Pantry has collaborated with an extensive list of brands including Aldi, Woolworths, Jenny Craig, OMO, The Heart Foundation, Steggles, Disney and Barbie. Motherhood and parenting are far from a smooth and easy ride and this is exactly what The Imperfect Mum aims to celebrate, which is why we are in love! 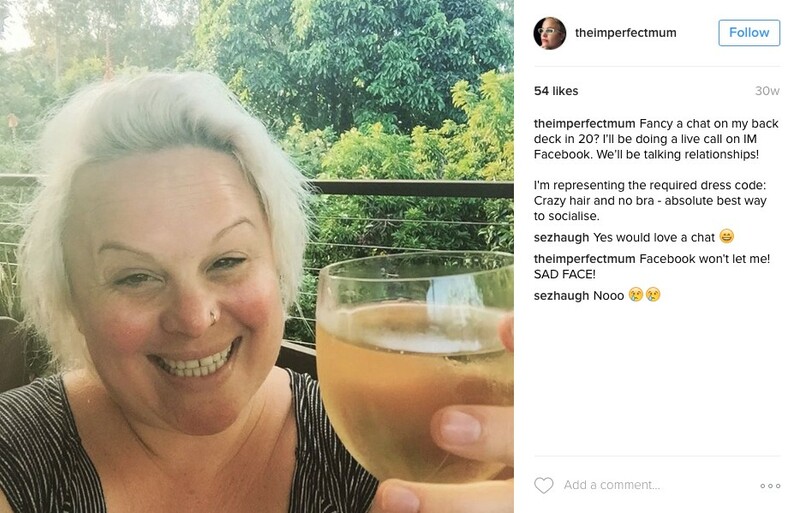 Kristy Valley is the founder of The Imperfect Mum, a blog created to help women come together, talk and relate to the imperfectness of motherhood. She started the blog after she had two children and developed Post-Natal Depression, with a desire to break down the unattainable image of the ‘perfect’ mother and celebrate the fact that, well, none of us are all that perfect. The Imperfect Mum touches on incredibly important topics including relationships & marriage, loss & grief, mental health and parenthood guilt. There is also a wide range of tips and advice on parenting toddlers, children and teenagers. Kristy has previously collaborated with The Insurance Council, Dream World, Paradise Resort and I Want That Course.